Day 12 photo: Chapel of the Sisters of Providence Hospice church. 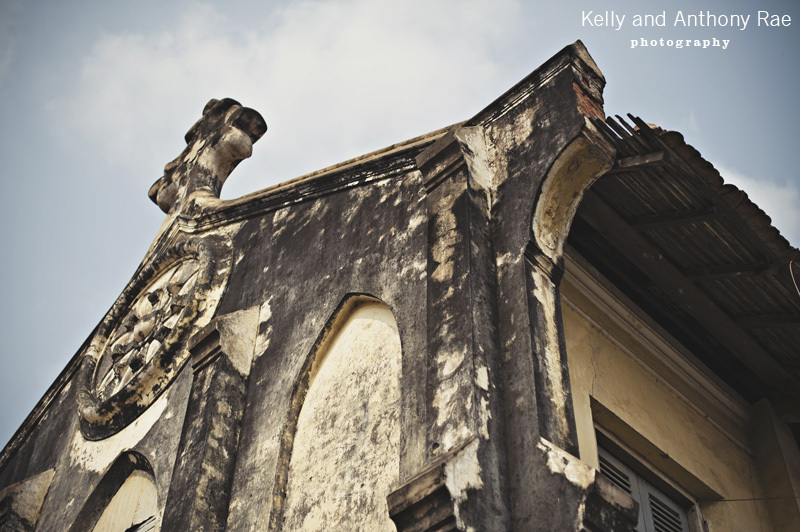 Yesterday my friend Tim (check out his blog: http://timothyirobertson.wordpress.com/) and I went looking for an old church called the Chapel of the Sisters of Providence Hospice, which we heard was located somewhere in Phnom Penh. We found it tucked away in winding alleys and surrounded by homes and shacks which had been built around the structure. The church houses a number of Khmer families who have subdivided the church building with plywood walls or brick. The condition of the church is quite good and the interior ceiling is a lovely domed roof. We chatted to the people living there for a while and took some photos.